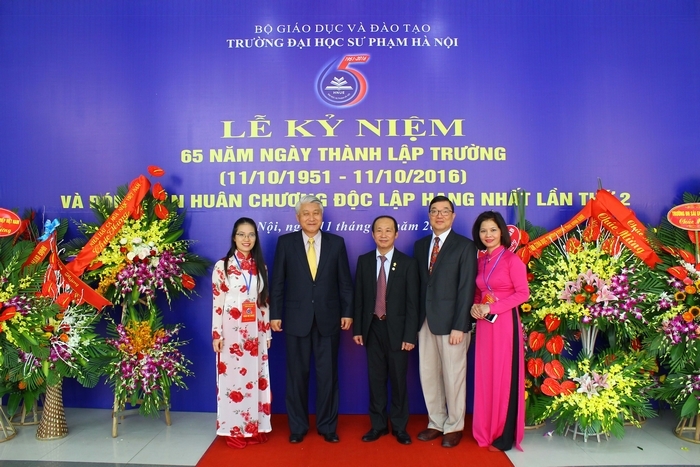 In the morning of November 10, 2016, Hanoi National University of Education had solemnly celebrated the 65th anniversary of establishment and received the 2nd Order of the first-class Medal of Freedom. Presenting at the ceremony were honorable delegates, including Mrs. Ngo Thi Doan Thanh - Deputy Head of the Mass Mobilization Commission of the Party Central Committee; Mr. Pham Manh Hung - Deputy Minister of Education and Training; Mr. Pham Tat Thang - Vice Chairman of National Assembly Committee for Culture, Education, Youth and Children, Former Secretary of Youth Union of Hanoi National University of Education; Mr. Dao Duc Toan - Deputy Secretary of Hanoi Party Committee; Mr. 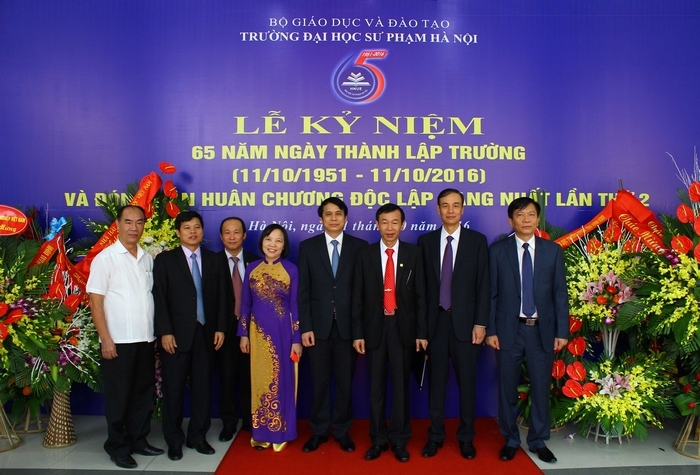 Vu Tuan Dung – Secretary of Party Committee of Universities and Colleges of Hanoi; Ms. Nguyen Thi Bich Hop - Vice President of Vietnam Education Trade Union; Mr. Bui Quang Huy - Secretary of the Central Executive Committee of Ho Chi Minh Communist Youth Union. 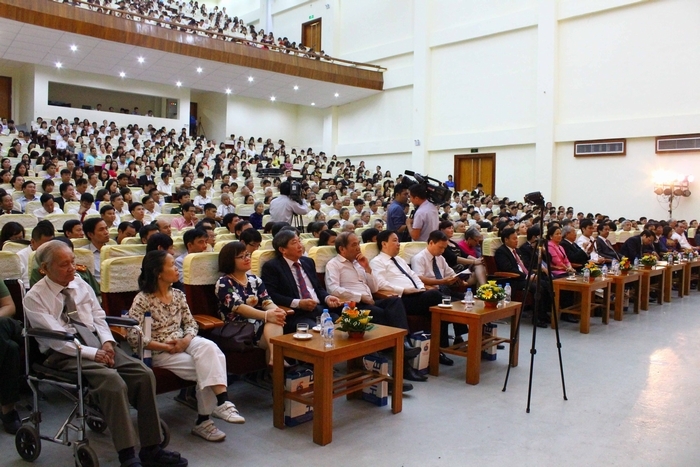 Participants also involved representatives of central and local agencies; representatives of universities, colleges, provincial departments of education and training throughout the nation; envoys of the localities where schools being evacuated during Vietnamese-American war; delegations of diplomatic missions and reporters of news agencies, newspapers and media. 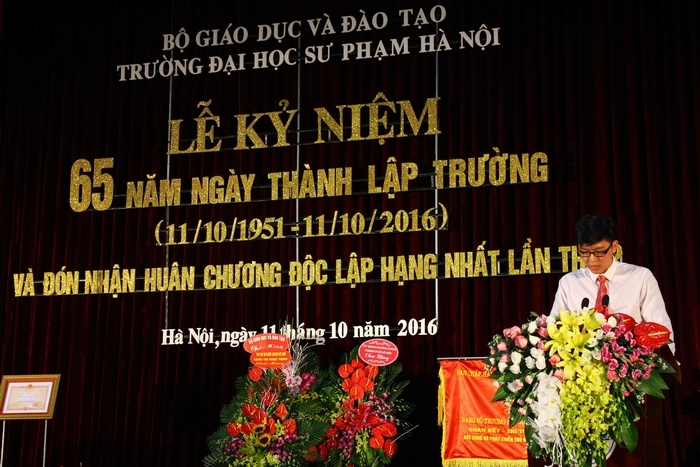 In an atmosphere of warmth and enthusiasm, a portrait of Hanoi National University of Education with a long tradition of history and years of glory had been portrayed thru the profound speech delivered by Prof.Dr. 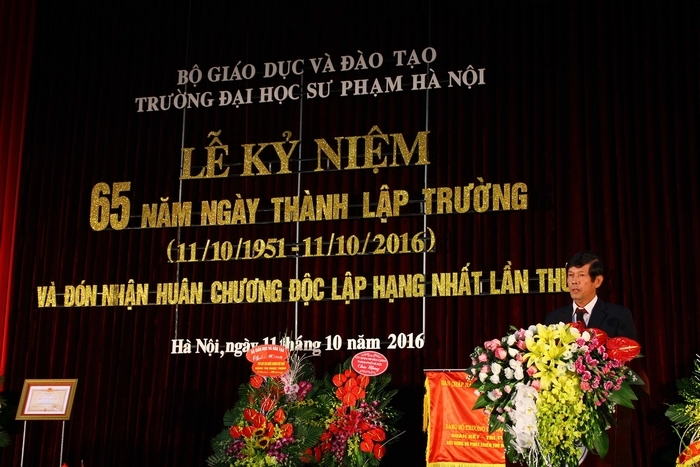 Nguyen Van Minh – President of Hanoi National University of Education. 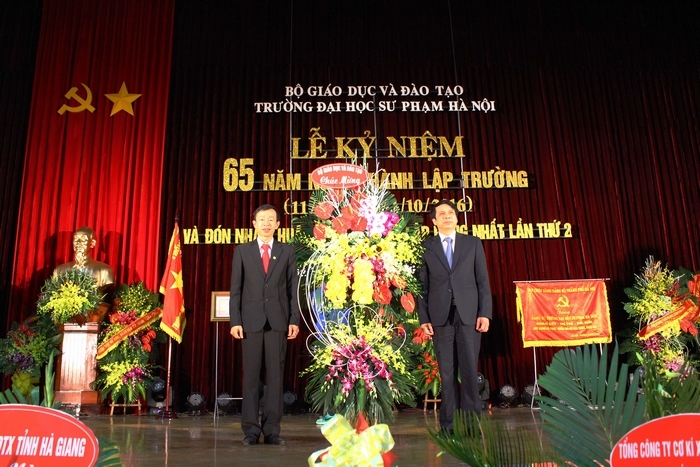 Throughout the history of 65 years with dedication among generations of teachers and students, Hanoi National University of Education proudly accompanies the history of our nation on each step with the glorious task "seeding people", and being the convergence of talents and wisdom of great intellectuals who have influenced generations of Vietnamese people. 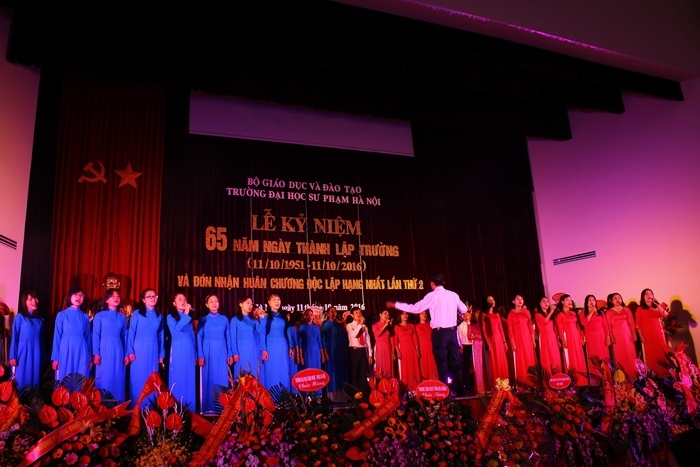 Also, Hanoi National University of Education takes pride in the very own identity with the mix of dedication, consecrated parallel with ordinary life, simplicity and talent with modesty. Provide a highly qualified human resources for the national education system. Has been contributing to the development of undergraduate and postgraduate programs, general education, teacher training and education management, especially in educational reforms. Propose a deal of research in science education, basic science and science and technology. The outcomes of each report contributed to education policies, reinforcing education development and science and technology of the country. Create international relations widely and deeply in terms of exchanging cadres, students and researchers. 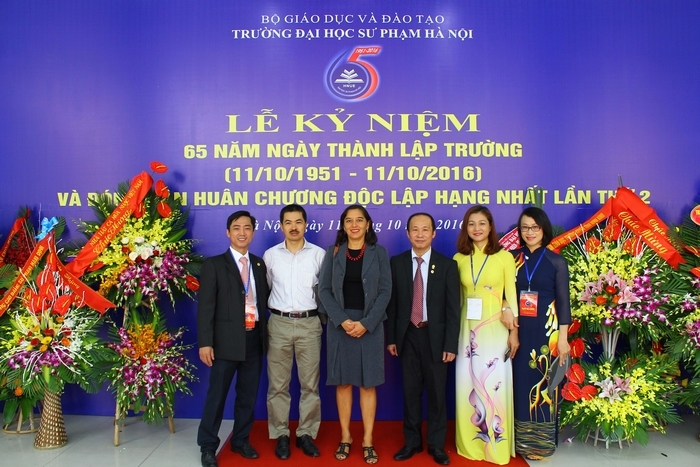 Has been making inevitable contributions to forming and fostering human resources both in Vietnam and abroad. 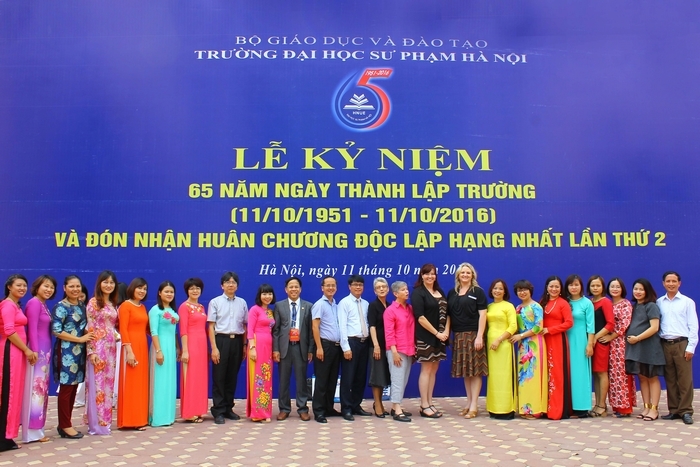 Over the past 65 years undertaking missions, Hanoi National University of Education has come to a consensus about the university’s core values, namely didactic, creative and dedicated, pioneering in education reforms and proactive to successful globalization. 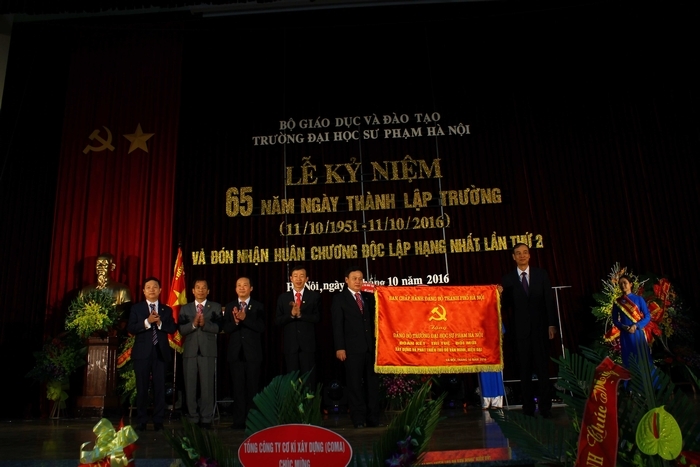 With 65 years of tremendous dedication, Hanoi National University of Education has been awarded many noble titles by Party and State Communist Committee such as the first-, second- and third-class Medal of Labor, the first- and second-class Medal of Freedom, the Order of Ho Chi Minh, the title of Hero of Labor in the renewal period. This year, once again HNUE was honored to be awarded the 2nd Order of the first-class Medal of Freedom by the Party and State. 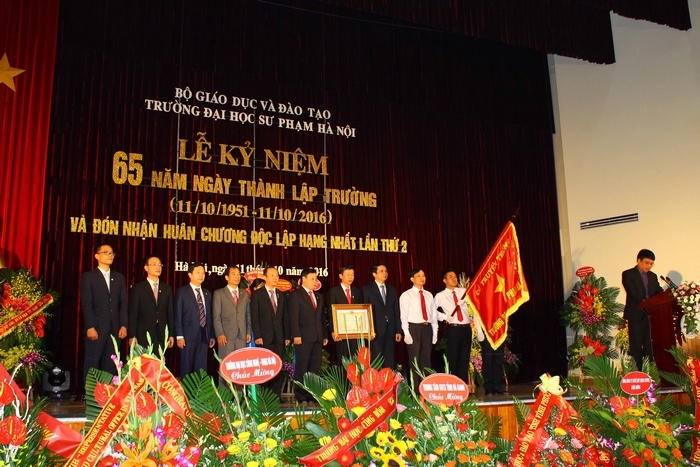 At the ceremony, Mr. Pham Manh Hung - Vice Minister of Education and Training authorized the President of the country to award the 2nd Order of the first-class Medal of Freedom for Hanoi National University of Education. Comrades representing Party Committee, Board of Management, Trade Union and Youth Union had received this noble award. 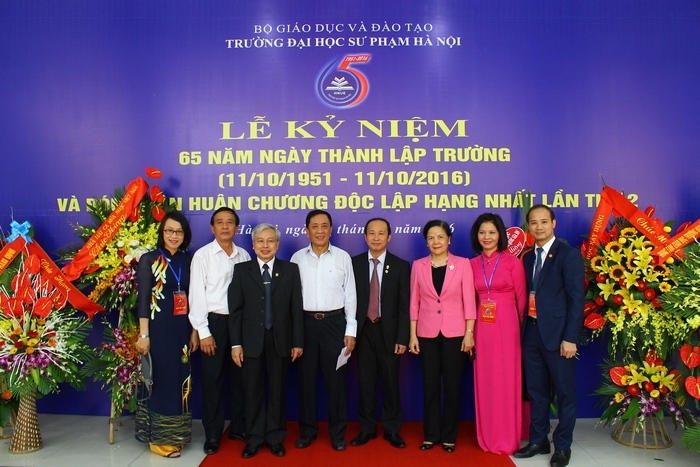 With a firm foundation throughout 65 years, Hanoi National University of Education is confident to make a tremendous contribution to the progressive education of the nation. Below are some photos taken at the ceremony.